Note: UMaine Extension has a publication entitled Pest Management for the Home Vegetable Garden in Maine, which may also be useful to you. See also the Maine Forest Service’s Insects From Firewood publication, and please remember: Don’t transport firewood! Asian Longhorned Beetle (invasive) (no confirmed sightings in Maine as yet) — see also the listing for Whitespotted Sawyer Beetle below, as this is often mistaken by people for the Asian Longhorned Beetle. Termites (Ohio State University) — Very rare in Maine; mostly occur only in pocket areas in some southern and coastal locations. Cluster Flies – People often mistake cluster flies for house flies. House Flies— see also the entry for Cluster Flies, because they look so similar. Cluster Flies – People often mistake cluster flies for house flies. They can be found anywhere in the house, not just in the kitchen — they are not attracted to garbage. Pavement Ants (Univ. of Minnesota Extension) NOTE: These ants are encountered commonly by Maine homeowners; They enter homes through cracks (especially cracks in foundations and concrete slabs); They like to nest in the soil under sidewalks, driveways, stones, logs, etc. Stable Flies (University of Florida) — These flies resemble House flies but are blood-feeders that generally bite at a person’s bare foot and/or ankle. Ticks — Ticks are sometimes found indoors after hitching a ride on you or a family pet. House Flies— see also our page for Cluster Flies, because they look so similar. NOTE: If either of these two pests is abundant, it is likely due to over-watering. See also our Powdery Mildew of Cucurbits (Disease) Fact Sheet. See also UMaine Extension’s “Potato IPM” page, as well as Cornell’s Late Blight page. See also Growing Fruit Trees in Maine – Insect Pests and/or UMaine Extension’s Apple IPM pages, for pest report newsletters, publications, and more! 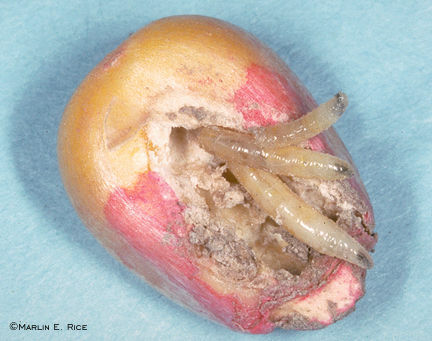 You may also wish to visit the apple section of our plant disease images (scroll to the apple section once you are there), and another helpful site is Cornell’s New York State IPM Fact Sheets for Tree Fruit. See also UMaine Extension’s Wild Blueberry Insect Fact Sheets and/or the Insect Control Guide for Wild Blueberries. For highbush blueberries, visit our Growing Highbush Blueberries fact sheet (specifically the “Pest Management” section at the end). See also the photos [pdf] that are part of the Northeast Vegetable and Strawberry Pest Identification Guide, and be sure to visit UMaine Extension’s Strawberry IPM pages as well where you’ll find a wealth of information including a strawberry newsletter, strawberry fact sheets, etc. Caterpillars: Woollybear Caterpillars (U. of Missouri Extension): Banded Woollybear and Yellow Woollybear — Plus, if the lawn or grassy area has trees nearby, you may wish to check out the USGS’s comprehensive listing of backyard tree caterpillars (with photos): Caterpillars of Eastern Forests. The Hickory Tussock caterpillar is one that is often seen in Maine. 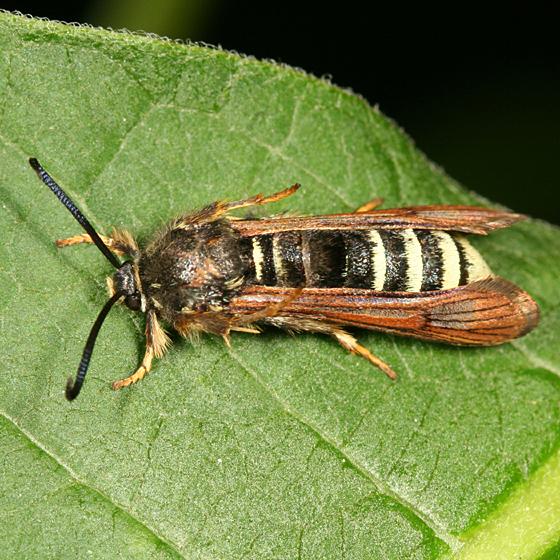 See also the Maine State Forest Service’s list of Insect & Disease Fact Sheets. For apple tree insects, see our ‘Apples‘ section above. Japanese Beetles — They are especially fond of lilac trees! See also Insect Pests of Roses by the University of Minnesota Extension, and also UMaine Extension’s Black Spot of Rose (disease) Fact Sheet. Other Flowers [listed alphabetically]: Note: Crab Spiders are common on many kinds of flowers. Tulips are quite hardy, but some insects (and slugs) do show up from time to time and can become problematic.